Sun, Sea and the Schoolhouse Ice Cream! With its white picket fence, weatherboard deck and seashell strewn floral gardens, the Schoolhouse is as near as one can get to Ice Cream Nirvana. The owner, Sue Stanley tells me they home make all their ice cream on site, sourcing the best ingredients they can find including Dutch Chocolate and fine vanilla and they only make super premium (16% butter fat). Their alcoholic numbers for more grown up customers, include Rum & Raisin infused with spiced rum and Irish Whiskey, containing a dram, or two of that smooth spirit. Both go down a treat! My personal favorites this year, are an unbelievably fruity strawberry and delicate peach ice creams with chunks of real fruit and we all love Peppermint Stick (kind of like Seaside Rock in ice cream for our readers in the UK), with crunchy red mint pieces in luscious peppermint ice cream. Their frozen yogurt is fantastic too, I tried strawberry shortcake yesterday, a new flavor for this season. A must for anyone with a sweet tooth – soft shortbread like biscuit, strawberries and cream. Yum! 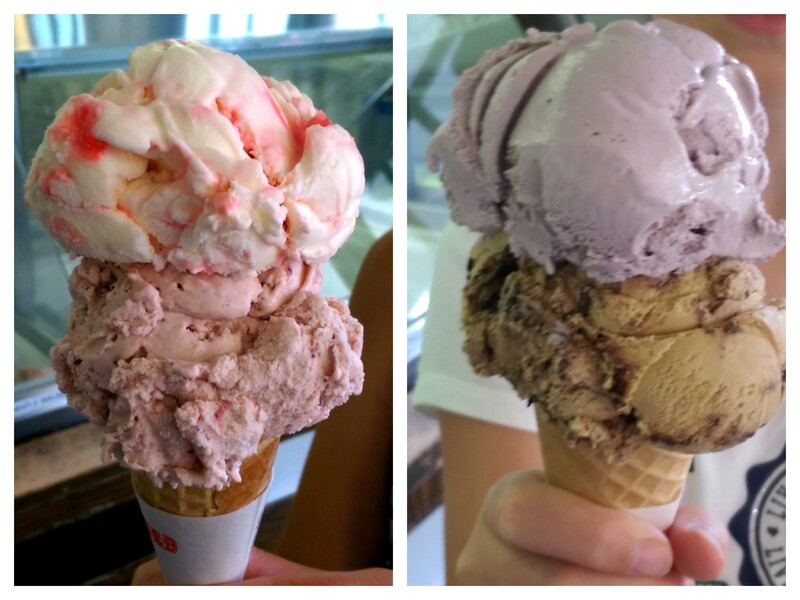 Strawberry and Peppermint Stick + Black Raspberry and Harwich Mud Pie! 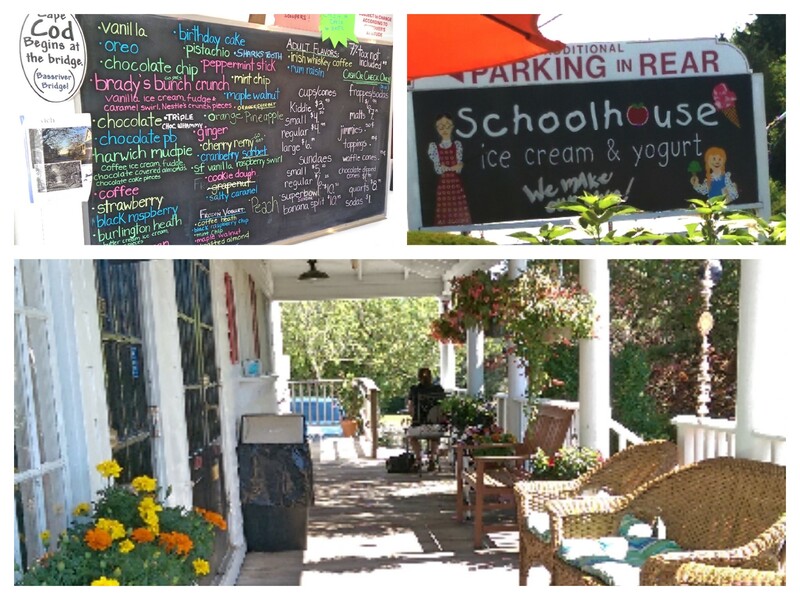 So if you are vacationing on Cape Cod, stop by the Schoolhouse and join me in Ice Cream Heaven! Looks like amazing Ice Cream! 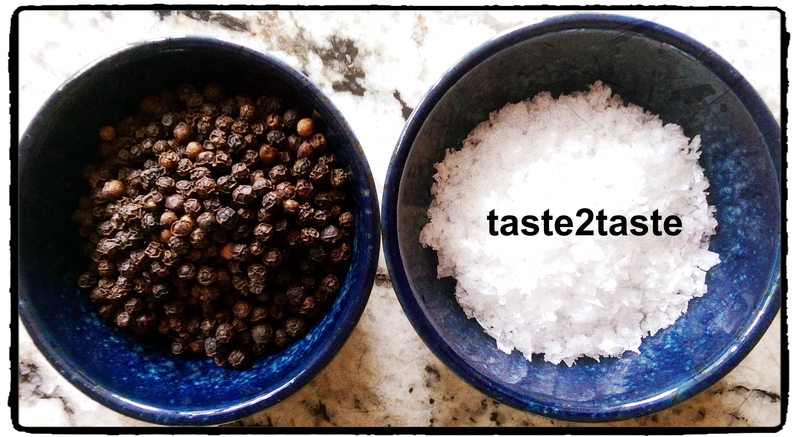 Love what I’ve seen of your blog, look forward to following! 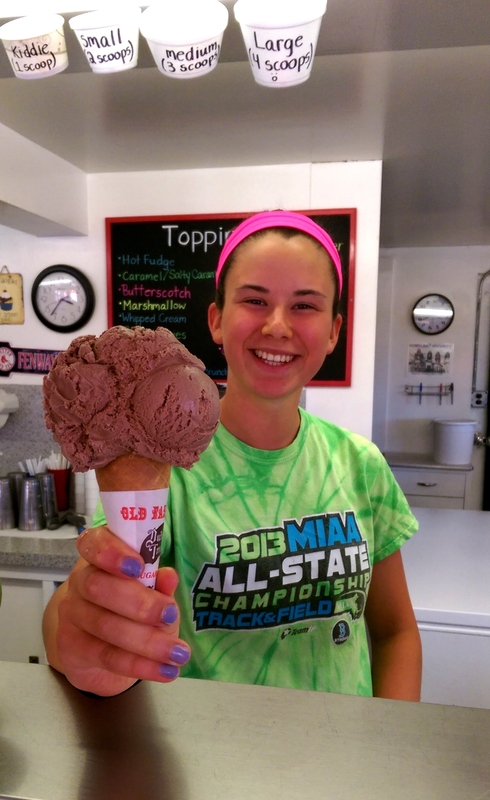 If you are on Cape Cod today, check out my favorite place for Ice Cream – amazing servings, beautiful colors and simply yummy!